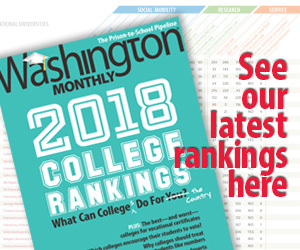 Washington Monthly | Wonky & Duplicative Coverage Bores Readers, Says RealClear Education Writer Emmeline Zhao. Wonky & Duplicative Coverage Bores Readers, Says RealClear Education Writer Emmeline Zhao. Later in the afternoon, she does it all over again (minus the email). So, what does Zhao think about the news she sees every day? Too often, she says, she’s bored. Not because the news is boring, but because of the repetition and duplication that marks education journalism. Just today, a new GAO report showing an increase in school segregation has gotten a round of coverage from major news and trade outlets. Last week, nearly everyone seemed to rush to cover the story that Jim Shelton had been hired to run the Chan Zuckerberg Initiative. Before that, it was the John King nomination. A few weeks ago it was the new NAEP scores. She’s also a fan of the New Orleans Times-Picayune’s Danielle Dreilinger, and points to the work of her former Huffington Post colleague Joy Resmovits (now at the LA Times), who edited a recent Sonali Kohli piece about a nine year old transgender student. * Making issues that are abstract more relateable is key. This is an issue that came up in Boston Globe editor Walter Robinson’s talk at EWA16. Related posts: WNYC’s Fertig Thinks Differently About Education Reporting; NYT Reporter Aims To Understand Emotional Dynamics; Behind The Scenes Of NPR’s School Money “Beast” [Cory Turner interview]; SoCal Public Radio Restaffs Education Desk, Launches “Good Schools” [Maura Walz interview]. *The original version of the sentence credited Resmovits with having written the piece.